Assistant Coach Wes Unseld Jr. In the summer of 2011, Kroenke elevated Josh Kroenke to team President and Governor. In his expanded role, Josh Kroenke hired Tim Connelly as General Manager and Executive Vice President of Basketball Operations (now President of Basketball Operations) in July 2013 and named Michael Malone as Head Coach in June 2015. Off the court, one of Kroenke’s priorities has been the Colorado community. More than $16 million in contributions have been made to Colorado charities through Kroenke Sports Charities and the Denver Nuggets and Colorado Avalanche Community Funds. The Nuggets continue to be a strong supporter of youth basketball in the State of Colorado through initiatives such as donating to youth basketball programs and providing numerous youth camps to help teach the game to local children. Additionally, after the hurricanes that devastated the coastal regions in August 2017, the Kroenke family donated $1 million to the Red Cross Organization. Kroenke Sports & Entertainment owns Major League Soccer’s Colorado Rapids and the National Lacrosse League’s Colorado Mammoth. The Rapids hosted the MLS All-Star Game in 2007 and 2015 and won the MLS Cup Championship in 2010. The Mammoth has been a playoff participant in 14 of its 15 seasons and won the NLL championship in 2006. The Mammoth also hosted the NLL All-Star Game in 2004 and 2009. In June 2011, Kroenke became the majority shareholder of Arsenal FC, the storied English Premier League football club. He recently purchased the remaining stake in the club to control sole ownership. He also became the principal owner of the St. Louis Rams (now the Los Angeles Rams) in August 2010. The Rams won the Super Bowl in 2000 while Mr. Kroenke was a co-owner. Overall, the Nuggets, Avalanche, Rapids and Mammoth have made 39 playoff appearances, won three league championships and hosted five All-Star Games since 2000-01. Arsenal won the 2014, 2015 and 2017 FA Cup and has qualified for the Champions League in 19 consecutive seasons from 1998-99 to 2015-16, the second longest run ever. 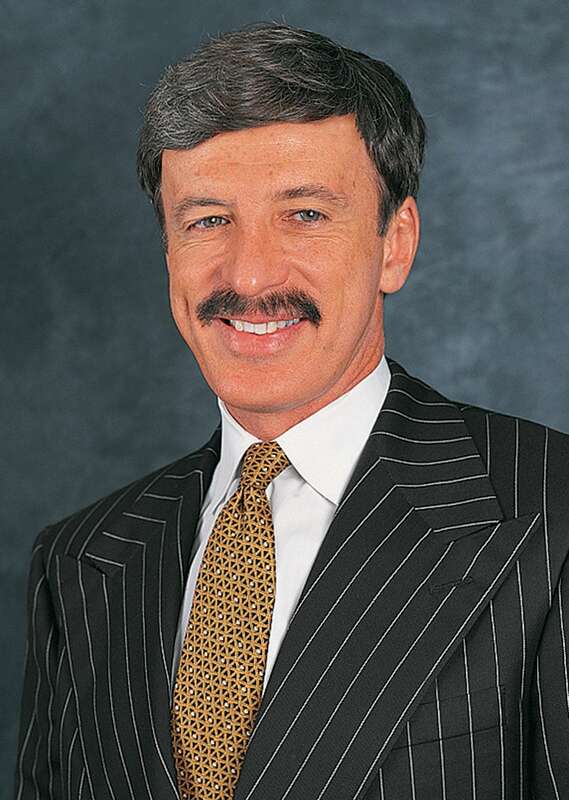 In addition to his success as an owner, Kroenke has been a pioneer in television programming. In September 2004, Kroenke launched Altitude Sports & Entertainment, a 24-hour regional television network that is the broadcast home for the Nuggets, Avalanche, Mammoth and Rapids. Altitude also airs professional, collegiate and high school sporting events throughout the Rocky Mountain region. KSE acquired the Outdoor Channel in May 2013. In 2014 KSE added to its outdoor media holdings with the acquisition of Sportsman Channel, along with a number of well-known outdoor enthusiast print and digital publications. KSE also owns the World Fishing Network. On Dec. 31, 2015, KSE announced the acquisition of three Denver FM radio stations, KIMN-FM (Mix 100.3), KXKL-FM (Kool 105), and KKSE-FM (Altitude Sports Radio 92.5), the radio broadcast home for the Nuggets, Avalanche, Mammoth and Rapids. KSE Radio also owns one Denver AM station, KKSE (Altitude Sports Radio 950 AM). The Pepsi Center, a KSE-owned facility and the largest indoor arena, event center and concert venue in Colorado, is the home arena for the Nuggets, Avalanche and Mammoth, seating 19,520 fans for basketball and 17,809 for hockey. Since joining the Denver Nuggets front office in 2007, team President and Governor Josh Kroenke has established himself as a highly regarded executive while overseeing every aspect of the day-to-day operations and represents the team at NBA ownership meetings. He remains President and Governor for both the Nuggets and Colorado Avalanche and was also promoted to Vice Chairman of Kroenke Sports & Entertainment in the summer of 2018. During Kroenke’s tenure, the Nuggets adapted to numerous changes to win at least 50 games in five straight non workstoppage seasons from 2007 to 2013. They also advanced to the 2009 Western Conference finals and captured two Northwest Division titles during that span. He has overseen two NBA Executive of the Year awards, one NBA Coach of the Year award, six All-Star selections, three All-NBA selections and five players selected to All- Rookie teams. Additionally, former Nugget Allen Iverson, who played with the team from 2006 to 2008, was inducted into the Naismith Basketball Hall of Fame in the summer of 2016. Kroenke was named Vice President of Team Development in 2007 and moved into his current role as President and Governor in 2010. In addition to his duties with the Nuggets, he serves as President and Governor of the Colorado Avalanche (National Hockey League) and Alternate Governor for the Colorado Rapids (Major League Soccer). In his role as Vice Chairman of Kroenke Sports & Entertainment, Kroenke works closely with KSE executives on multiple business operation issues, ranging from finance to marketing. 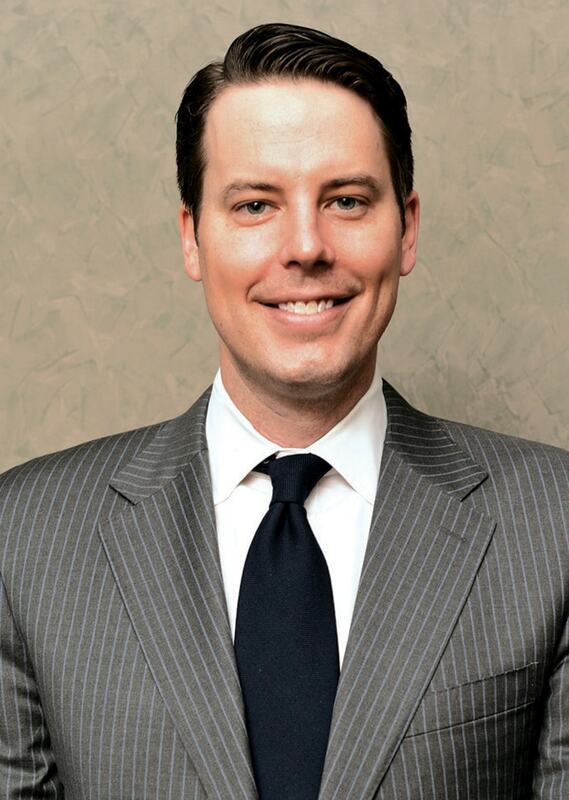 In 2014, Kroenke was named to the Sports Business Journal’s prestigious “Forty Under 40” list. The annual list honors the most promising young executives in sports business under the age of 40. During the 2010-11 season, Kroenke helped orchestrate one of the biggest trades in league history, completing a three-team, 13-player deal with the New York Knicks and Minnesota Timberwolves on Feb. 22, 2011. Kroenke and the Nuggets front office continued to improve the team’s roster through the draft and the trade market, and the Nuggets went on to win a team-record 57 games during the 2012-13 season. It marked the 10th straight year Denver reached the playoffs – the second-longest active streak in the NBA at the time. Additionally, Kroenke has spearheaded numerous business initiatives throughout Pepsi Center and the Denver Nuggets organization. In 2013 he oversaw the installation of a multimillion dollar 4,400 square foot HD center-hung scoreboard, one of the largest and most technologically advanced scoreboards in a professional sports arena. In just the past two years he has unveiled new home, road and alternate jerseys for the Nuggets, overseen the complete redesign of the Nuggets’ locker room, training room and players’ lounge, and introduced the multimillion dollar Club Lexus, offering exclusive amenities and services to Nuggets and Avalanche ticket-holders. Kroenke is also leading KSE into the fast-growing area of eSports. He was instrumental in the decision to create KSE eSports to acquire an inaugural franchise in Activision/Blizzard’s Overwatch league, now known as the Los Angeles Gladiators. As co-founder of KSE eSports with his father Stan, Josh has helped guide all elements of the operation including branding and launch of the team in January 2018. Over the past several seasons, Kroenke has ushered in new eras for both Nuggets basketball and Avalanche hockey. The Nuggets added to their young, energetic core in 2013 by hiring first-year General Manager/Executive Vice President of Basketball Operations Tim Connelly (now President of Basketball Operations) and in 2015 Kroenke and Connelly hired Michael Malone to be the franchise’s new head coach. The summer of 2017 saw Kroenke and company land one of the largest free agents in the organization’s history by inking four-time All-Star Paul Millsap to a multi-year contract. with the National Hockey League, was instrumental in bringing the 2016 Coors Light NHL Stadium Series game to Denver. The event, which featured the Avalanche and the Red Wings playing at Coors Field on Feb. 27, 2016, was the first ever NHL outdoor game in the State of Colorado. Athletic competition has always been a passion for Kroenke, who attended the University of Missouri on a full basketball scholarship. He was a contributor during Missouri’s trip to the Elite Eight as a sophomore in 2002, and he earned Academic All-Big XII First Team honors while serving as team captain during his junior and senior seasons. After graduating with a degree in financial management, Kroenke completed a six-month internship with the NBA’s League Office working in its Player Development Department. Upon finishing his internship, Kroenke worked on Wall Street where he assisted with the debt underwriting and securitization of numerous commercial real estate transactions. Away from the Nuggets and Avalanche, Kroenke serves on the Board of Directors for Arsenal Football Club in London and on the Board of Strategic Development for the Trulaske College of Business at the University of Missouri. Kroenke is an active supporter of Kroenke Sports Charities and the Denver Nuggets and Colorado Avalanche Community Funds. He is involved in several other charitable endeavors, including the Todd Peglow Memorial Scholarship Fund at the University of Missouri. He is also a major supporter of the Playing For Change Foundation, which was co-founded by his sister, Whitney, and benefits children worldwide by building schools that specialize in teaching music and arts. after being hired to that role in July 2013. Connelly works closely with President and Governor Josh Kroenke in all aspects of team and organizational matters as they aim to keep the Nuggets among the NBA elite. During his tenure in Denver, Connelly and his staff have shown their knack for finding talent throughout the draft, highlighted by the selection of emerging star Nikola Jokic with the 41st pick of the second round in 2014. He has also overseen the drafting of current starters Gary Harris and Jamal Murray, as well as promising prospects, Juancho Hernangomez, Malik Beasley and Michael Porter Jr. over the past five seasons. Additionally, Connelly has helped draw the interest of top free agents to Denver, including the signings of Paul Millsap in the summer of 2017 and Isaiah Thomas in 2018. Connelly, spent three seasons with the New Orleans Pelicans as their assistant general manager before coming to Denver. Prior to his time with New Orleans, Connelly spent 10 years with the Washington Wizards organization where he rose to director of player personnel. In Washington, his role included overseeing scouting, salary cap and database management, player evaluation responsibilities, as well as assisting the vice president of player personnel with all front office duties. 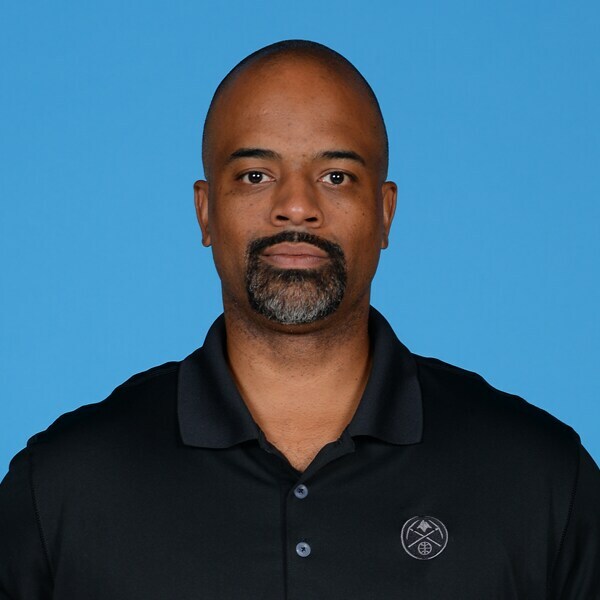 The Baltimore product began working for the Wizards as an intern in the basketball operations department in 1996, and after his graduation from DC’s Catholic University in 1999, Connelly was named to the Wizards staff as assistant video coordinator. In 2000, Connelly became a full-time scout for Washington, and later assumed the head scouting role. During his four-year stint as a scout for the Wizards, Connelly traveled across five continents to identify the top talent in the basketball world. Connelly’s service to the game of basketball has spanned the globe in recent years. This past summer Connelly traveled to Tel Aviv, Israel and served as a coach as part of the NBA’s “Basketball Without Borders” program. He also worked in Moscow, Russia in 2012 for the program and his first experience with “BWB” came in the summer of 2006 in South Africa. That same summer he was involved with the Seed Academy inDakar, Senegal. He has served on the board of GEN Basketball Academy, a Sarajevo-based academy funded by NATO, and has assisted with their youth camps. Additionally, in the summer of 2007, Connelly visited Dublin, Ireland to help raise youth awareness of cultural diversity and integration through the sport of basketball, and to work with the Irish federation on future basketball-related initiatives. Connelly has also visited England with his brother Pat as part of their personal efforts to aid the globalization of basketball. Connelly is one of seven children, having four brothers and two sisters. Each of Connelly’s four brothers -- Joe, Pat, Dan and Kevin -- played basketball at Towson Catholic, the powerhouse Baltimore program, and their love of the game has not faded. His brother Pat was named the Phoenix Suns assistant general manager in 2013 while his brother Joe has worked in the NBA and internationally as a coach and scout. Connelly and his wife Negah have hosted the Mile-High Ping Pong Challenge which has benefitted the “Bags of Fun” organization, providing toys and gifts to pediatric patients that are suffering from critical illnesses and disease. Arturas Karnisovas enters his sixth season with the Denver Nuggets and second as General Manager. He was promoted to Assistant General Manager and Vice President of Basketball Operations for the 2016-17 season after previously being hired as Assistant General Manager in the summer of 2013. Karnisovas (pronounced Car-NISH-O-Vas) assists Nuggets President of Basketball Operations Tim Connelly and President and Governor Josh Kroenke with all day-to-day operations. Karnisovas, 47, joined the Nuggets after five years with the Houston Rockets, where he most recently was the Director of Scouting. He started with the Rockets as Director of Global Scouting in 2008 after spending more than four years working in basketball operations at the NBA’s league office. Karnisovas has also been very involved with USA Basketball since 2013, and he was a member of the coaching staff for the national team that won gold at the 2014 FIBA World Cup of Basketball. Prior to working in the NBA, Karnisovas enjoyed an impressive international playing career. He helped his native Lithuania win Olympic bronze medals in 1992 and 1996. Karnisovas also played professionally for Barcelona, Bologna, Olympiakos and Athens, reaching the Euroleague Final Four three times. He was named FIBA’s European Player of the Year in 1996. Karnisovas attended Seton Hall from 1990-94 and was the first ever player from the USSR to play at an American college. He helped his team win two Big East Tournaments and qualified for the NCAA tournament all four years. During the summer of 2016, Karnisovas was honored by Seton Hall by receiving their Most Distinguished Alumnus Award. 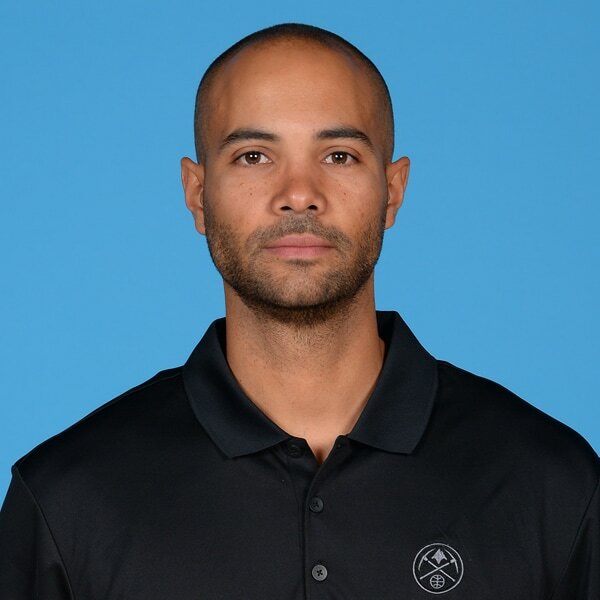 Calvin Booth enters his second season as Assistant General Manager with the Denver Nuggets after spending the previous four seasons with the Minnesota Timberwolves as Director of Player Personnel and most recently as Director of Pro Personnel. Booth assists Nuggets President of Basketball Operations Tim Connelly, General Manager Arturas Karnisovas and President and Governor Josh Kroenke with day-to-day operations related to scouting and player personnel matters. Booth enjoyed a 10-year NBA playing career (1999-2009) with the Washington Wizards, Dallas Mavericks, Seattle Sonics, Milwaukee Bucks, Philadelphia 76ers, Minnesota Timberwolves and Sacramento Kings. In 366 career games, 83 starts, the 6-11 forward/center averaged 3.3 points, 2.8 rebounds and 0.9 blocks per game. Booth appeared in seven games for Sacramento in the 2008-09 season before retiring in the summer of 2009. After his playing career, he served as a scout, both pro and collegiate, with the New Orleans Hornets in 2012-13. Booth, a native of Reynoldsburg, Ohio, played college basketball at Penn State from 1995-99 and was Big Ten Defensive Player of the Year as a junior and All-Big Ten Second Team as a senior. Booth and his wife, Keisha, and their daughters, Carter (15) and Camble (8), and sons, Carey (13) and Clarke (5), reside in Minneapolis. Ben Tenzer enters his sixth season as the Nuggets Director of Basketball Operations and tenth in the organization, working closely with Vice Chairman of KSE Josh Kroenke and President of Basketball Operations Tim Connelly on day-to-day management, legal, and operational issues; with a focus on the salary cap and the NBA’s Collective Bargaining Agreement. Tenzer, 33, rejoined the Nuggets organization in 2013 after previously working in various capacities for the front office from 2005-2009. His background includes working for the NBA Vegas Summer League (2005-2012), Adidas Nations (2010-2012), and Wasserman Media Group (2010). He was also a member of the NBA’s global outreach program, Basketball Without Borders-Africa, in 2007 and 2008. Tenzer, a Los Angeles native, is a graduate of the University of Colorado, Boulder, and Southwestern Law School in Los Angeles. He is a member, and in good standing, of the State Bar of California. He and his wife, Allie, reside in Denver. Lisa Johnson enters her 38 season with the Denver Nuggets, where she has spent her entire professional career. Upon graduation from the University of Denver, Johnson worked her way up through the organization beginning in season ticket sales, receptionist/front office assistant, community relations, media relations and basketball operations before entering her current role as Vice President of Basketball Administration five seasons ago. Her job duties include working closely with the various departments throughout KSE with the day-to-day business operations of the organization. Johnson also oversees the team travel, player appearance program, NBA game scheduling, basketball staff ticketing, arena security, and special Nuggets related events. Lisa has strong roots to Denver and Colorado, she grew up in Littleton where she now resides with her husband Jim. Together they enjoy traveling, Native American art and culture, gardening, horseback riding, music and supporting the local sports teams as well as the theatre and the arts. They also make sure to find time amidst the hectic NBA life for good friends, good food and good wine. Amy O’Brien enters her 14th season with the Denver Nuggets and her sixth year as the Director of Team Operations and Player Development. Her job duties include serving as a liaison for agents, the NBA, and players with the team. O’Brien also makes sure that “off-the-court” doesn’t affect life “on-the-court”. She helps players with goal setting like financial security, life after basketball, being better family members and helping the community. O’Brien, a native of Chagrin Falls, Ohio, graduated from Boston College’s Carroll School of Management in 2003. While in school she interned with the Cleveland Cavaliers in their Basketball Operations department and spent time as an intern in the marketing department for the Boston Celtics. Amy began her work in Community Relations with the Nuggets in 2005 and after spending several seasons in that role, she transitioned to the front office as Basketball Coordinator in 2010. O’Brien who enjoys being active in the community and outdoor activities, resides in Denver with her husband Ryan and two sons, Connor (4) and Cooper (2). Jim Clibanoff enters his sixth season with the Denver Nuggets front office as the Director of Scouting. Prior to joining the Nuggets, Clibanoff created and was president his own scouting service called “ClibHoops” to which NBA and international clubs subscribed. Over the 10 years the service ran, Clibanoff appeared as a consultant to various media outlets, providing insights on the NBA Draft and pro prospects from around the world. Clibanoff, a native of Philadelphia, graduated from Tufts University in 1989 and got his start as Director of Player Personnel for the USBL’s Philadelphia Spirit in 1991. Over the subsequent years, he earned his juris doctor from Temple University’s Beasley School of Law while continuing his basketball career. Following his time with the Spirit, he continued to evaluate professional players from all over the globe and helped several secure employment in various leagues around the world before starting his personal scouting service. Clibanoff resides in the Philly suburbs with his wife Felice and his two daughters Elle and Remie. Scott Howard is entering his fourth season with the Denver Nuggets front office and his second as Manager of Player Personnel. He was originally hired as Director of College Scouting prior to the 2015-16 season. Prior to joining the Nuggets, Howard spent eight seasons with the Charlotte organization as their Director of Scouting. He spent the previous season as a scout with the Milwaukee Bucks, and spent two years before that with the Toronto Raptors as Director of International Player Personnel, where he was responsible for all aspects of player personnel outside of North America and coordinated player workouts ahead of the NBA Draft. He also served as a scout for the Washington Wizards from 2000-04. Howard also spent 17 years as a collegiate coach, including seven seasons at the University of Miami, three seasons at the University of Nebraska, and one season each at Southern Illinois, Drake and Southern California. Howard received his bachelor’s degree in physical education in 1983 from Iowa State University, where he was a two-year letterman for the basketball team. He earned his master’s degree in educational administration from the University of Iowa in 1985 while serving as a volunteer assistant and graduate assistant coach. Tommy Balcetis enters his sixth season with the Denver Nuggets and his second season as Director of Basketball Strategy & Analytics. He was named the Director of Basketball Strategy & Analytics prior to the 2016-17 season after previously serving as Manager of Basketball Analytics from 2013 to 2016. Balcetis works closely with President of Basketball Operations Tim Connelly and General Manager Arturas Karnisovas along with the Nuggets coaching staff on all analytical assignments, scouting and the salary cap. Balcetis graduated from Harvard University in 2010 with a degree in Economics and Psychology. His background includes working for the NBA League offices in London, England in the international media department from 2012 to 2013 and also served as a business consultant at Fidelity Investments from 2010 to 2012. Balcetis, a native of Vilnius, Lithuania, played basketball at the Sarunas Marculionis Basketball Academy before attending school in the United States. He resides in Denver and married his longtime girlfriend Rasa in July 2016. Michael Malone enters his fourth season as head coach of the Denver Nuggets. He was named the 16th head coach in Denver’s NBA franchise history on June 15, 2015. This past season saw Coach Malone lead the Nuggets to a 46-36 record, their best overall record since 2013, while narrowly missing the playoffs by one game. Since Malone has taken over prior to the 2015-16 season the Nuggets have improved on their win total by a total of 16 wins (+3 after first season, +7 after second and +6 after third), making Denver one of three teams to increase their win total in each of the last three seasons (Minnesota and Boston). Malone possesses over 21 years of coaching experience, 17 coming in the NBA with six different teams – New York, Cleveland, New Orleans, Golden State, Sacramento and Denver. The teams that Malone has been a member of the coaching staff have amassed eight playoff appearances, including one NBA Finals showing and two conference finals appearances. Before joining the Nuggets, Malone served as the head coach of the Sacramento Kings for two seasons. 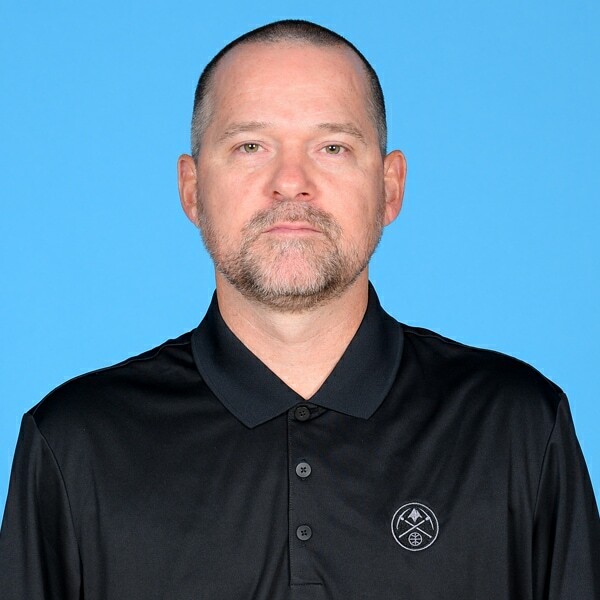 Before his time with the Kings, Malone was the lead assistant for the Golden State Warriors under Mark Jackson from 2011-13 where they clinched a postseason berth in 2013, their first since 2007. Prior to Golden State, Malone worked as the lead assistant to Monty Williams in New Orleans and helped the Hornets achieve a 46-36 record and a trip to the 2011 NBA Playoffs. The Hornets were the most improved defensive team in the NBA in 2011, allowing a league-best 8.7 fewer points per game than in the previous campaign (94.0 ppg, after giving up 102.7 ppg in 2009-10). Malone also served as an assistant coach under Mike Brown for the Cleveland Cavaliers for five seasons, during which the Cavs posted a 272-138 (.663) record, the third-best mark in the NBA over that span. The Cavaliers made five consecutive playoff appearances during Malone’s time on the bench, reaching the NBA Finals in 2007 and the Eastern Conference Finals in 2009. In 2008-09, the Cavs notched a franchise record and NBA-best 66 wins, with Malone and the rest of the team’s staff earning the right to coach the Eastern Conference All-Star squad. In 2009-10, the Cavaliers again captured the league’s best regular season record with 61 wins. Malone’s NBA coaching career began with a four-season stint with the New York Knicks, where he originally joined Jeff Van Gundy’s staff as a coaching associate in the summer of 2001, and was promoted to assistant coach in May 2003. Before joining the NBA, Malone coached seven years in the college ranks, with his last stop coming at Manhattan College where he was the lead assistant. During the 1998- 99 season Malone worked at the University of Virginia as its director of men’s basketball administration. Malone also spent three seasons (1995-96 – 1997-98) at Providence College under New York Basketball Hall of Fame coach Pete Gillen after beginning his coaching career working for Greg Kampe at Oakland University in Michigan. Malone is a three-time participant in the NBA’s “Basketball Without Borders” program, having coached at the league’s global outreach camps in Africa (2017), Puerto Rico (2006) and Argentina (2005). In 2017 Malone traveled to Johannesburg, South Africa where he spent a week coaching at the BWB camps and then served as an assistant coach for Team Africa, for the NBA Africa Game 2017. Malone also served as an assistant coach for the Canadian Men’s Senior National Team for three years. He helped guide the Canadian team to a top-four finish in the 2009 FIBA Americas Championship in Puerto Rico, qualifying Canada for the 2010 World Championships. A native of Queens, New York, Malone played college basketball at Loyola College in Maryland, where he graduated with a BA degree in 1994. He is a graduate of New Jersey’s Seton Hall Prep where he played two years under Bob Farrell. Malone also played a season under Tom Blackburn at Worcester Academy (Mass.). Michael is the son of longtime NBA coach Brendan Malone, who has coached over 28 years in the league. He and his wife, Jocelyn, have two daughters, Caitlin and Bridget. Wes Unseld Jr. begins his fourth season as an assistant coach with the Denver Nuggets. Previously, Unseld spent two seasons as an assistant coach with the Orlando Magic (2012-2014) and spent the 2011-12 campaign as an assistant coach with the Golden State Warriors. Prior to joining Golden State, Unseld spent 13 seasons with the Washington Wizards, including six seasons as an assistant coach from 2005-11. He played a key role in player development for the Wizards, helping Washington to four consecutive playoff appearances from 2004-08. Unseld’s scouting reports were also vital to the team’s game planning and preparation. Unseld began his NBA career in 1997, just four days after graduating from John Hopkins University, as a professional and college scout for Washington. He was promoted later that same year to advance scout. In addition to his nine-year tenure as advance pro scout for the Wizards, he also spent three seasons (1998-2000) as an advance scout for the WNBA’s Washington Mystics. In 1998, Unseld spent part of the season serving as an assistant coach for the Mystics. A native of Maryland and the son of Hall of Famer Wes Unseld, Unseld Jr. played on the men’s basketball team at John Hopkins for three seasons. He and his wife Evelyn have two children, Layla and Wes. David Adelman begins his second season as assistant coach with the Denver Nuggets. Adelman served as an assistant coach during the 2016- 17 season with the Orlando Magic before starting his tenure in Denver. He also spent the previous five seasons (2011-16) with Minnesota, including the final three as an assistant coach. His NBA career began in 2011 as a player development coach. He also served as head coach for the Timberwolves summer league team for three seasons. Prior to joining the Timberwolves, Adelman spent five seasons as head basketball coach at Lincoln High School in Portland, Oregon. Adelman went 83-53 (.610) during his five seasons at Lincoln, leading the Cardinals to three Portland Interscholastic district championships (2006-07, 2009-10, 2010-11). He also guided Lincoln to the Oregon Class 6A state championship final in 2009. Adelman was named PIL Coach of the Year three times. Prior to coaching at Lincoln, Adelman was an assistant coach at his alma mater, Jesuit High School in Portland, from 2001-06, helping the team win the state championship in 2005. He also helped Jesuit capture a state title as a player in 1999. Adelman has participated in the NBA’s Basketball Without Borders program, serving as a coach in Russia, China and Africa. He has also served as head coach at numerous clinics and camps, including Adidas Nations and the Pan Pacific Games. Adelman attended the University of Portland before joining the Jesuit staff. Adelman is the son of Rick Adelman, who served as an NBA head coach for 23 seasons. He has a degree in history from Southern New Hampshire University. Adelman and his wife, Jenny, have one son, Leonard Joseph (L.J. ), and one daughter, Lennan Marie. Jordi Fernandez, a native of Badalona, Spain, enters his third season with the Denver Nuggets coaching staff after previously serving as the head coach of the Canton Charge from 2014 - 2016. Fernandez was named the third Canton Charge head coach in team history on September 18, 2014. In two seasons, he led the Charge to a 62-38 regular season record including two appearances in the D-League Eastern Conference Finals. Previously to becoming the head coach, Fernandez was the lead assistant for Steve Hetzel with the Canton Charge for two seasons. He has also spent four seasons as a player development coach for the Cleveland Cavaliers after originally being hired by Cavaliers Head Coach Mike Brown prior to the 2009-10 season. With the Cavaliers, he conducted individual skill development workouts for players, assisted with drills in practice, implemented game preparation at shoot around and helped develop scouts. Fernandez has also served as an assistant coach at an international level for the Spanish National Team, most recently at EuroBasket 2017 and previously at the 2013 U-19 World Championships in Prague and for Club Basquet l’Hospitalet of the Spanish professional league. He also worked as a player development coach with Impact Basketball in Las Vegas, where he conducted individual workouts for college and professional players both domestically and internationally. 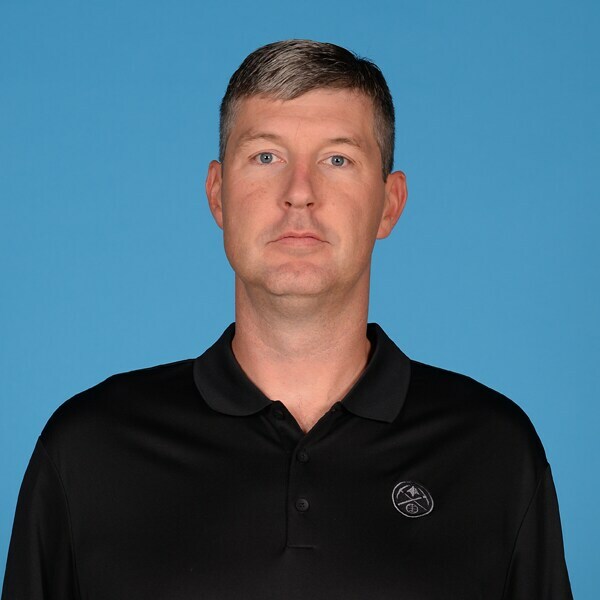 Ryan Bowen enters his fourth season with the Denver Nuggets coaching staff after serving two seasons as the Kings assistant coach/assistant director of player development on Coach Michael Malone’s staff in Sacramento. Bowen joined the Kings after spending the previous two seasons as an assistant coach for the Denver Nuggets. In his roles with both Denver and Sacramento, he assisted in all aspects on the coaching staff, including on-court player development. A 10-year NBA veteran, he appeared in 507 career games with the Nuggets (1999-2000 – 2003-04), Houston Rockets (2004-05 – 2005-06), New Orleans Hornets (2007-08 and 2008-09) and Oklahoma City Thunder (2009-10). His professional experience includes time playing overseas for Oyak Renault (Turkey) and Ironi Nahariya (Israel). Bowen was selected by the Nuggets in the second round (55th overall) of the 1998 NBA Draft and was recently selected to the Nuggets All-Time Top 50 players voted on by local media. As a collegian, Bowen enjoyed a four-year career at the University of Iowa, posting 14.4 points, 8.7 rebounds and 2.5 assists per contest during his senior year in 1997-98. He finished his career at Iowa as the school’s career field goal percentage leader (.575) and career steals leader (208) and ranks fourth in blocks (124) and eighth in rebounds (804). A two-time All-Big Ten selection, Bowen was inducted into the Iowa Boys Basketball Hall of Fame in 2012. Following retirement from professional basketball in 2009, Bowen returned to his alma mater as video coordinator for the Hawkeyes, working in that capacity for one season before departing Iowa City for a spot on the Nuggets coaching staff. A native of Fort Madison, Iowa, Bowen and his wife, Wendy, have a daughter, Isabel, and two sons, Benjamin and Zachary. Charles Klask enters his first season with the Denver Nuggets after spending the previous four years with the Detroit Pistons coaching staff. 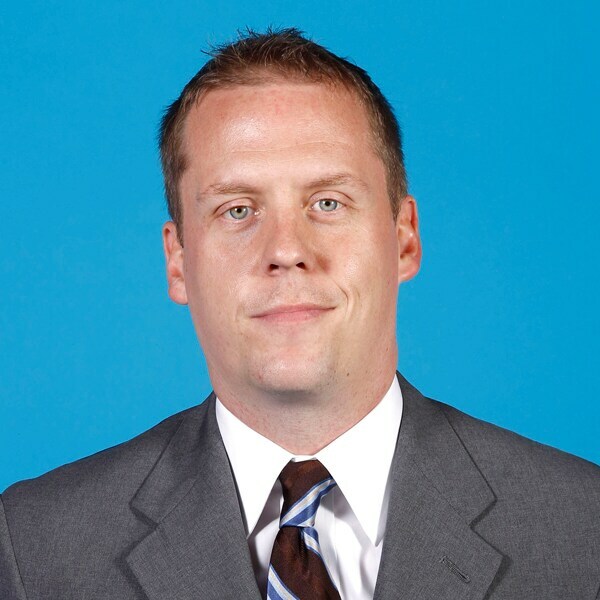 Klask spent the 2013-14 season as an assistant coach/advance scout with the Brooklyn Nets. 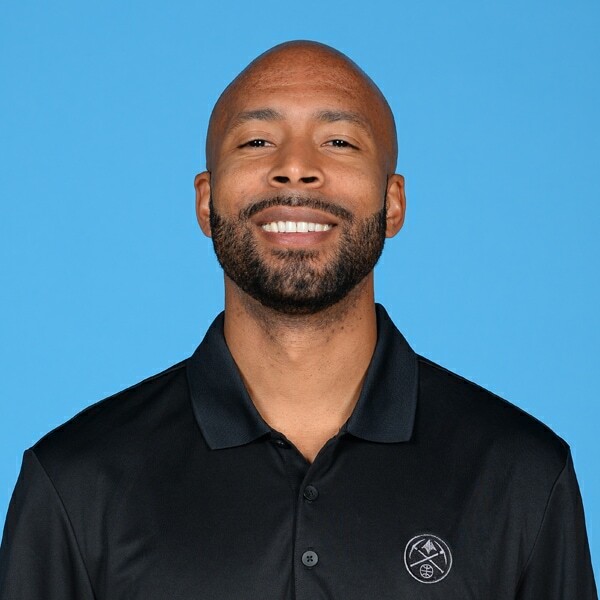 He also served as an assistant coach with the Pistons from 2011-13 and worked for the Orlando Magic from 2002-11 as a video coordinator, advance scout and the last three years as the scouting information manager. Before joining the Magic, Klask got his start in the NBA with the Pistons as a video coordinating intern in the summer of 2001 and then became the video coordinator of the Detroit Shock of the WNBA. The previous two years he worked as a coaching assistant with the Grand Rapids Hoops of the CBA and worked as an assistant coach for the Dodge City Legend of the USBL during the summer of 2000. A native of Livonia, MI, Klask attended Livonia Stevenson High School and is a graduate of Michigan State University. He and his wife, Brienne, have two children. Bob Weiss enters his second season as an assistant coach with the Denver Nuggets after spending the last four seasons serving as an assistant coach with the Charlotte Hornets. He brings 36 years of coaching experience to Denver, including 32 at the NBA level. Weiss has been an NBA head coach on four occasions, compiling a 223-299 career record (.427) with the San Antonio Spurs (1986-88), Atlanta Hawks (1990-93), Los Angeles Clippers (1993-94) and Seattle SuperSonics (2005- 06). His tenure as an assistant coach includes stops with the San Diego Clippers (1977-80), Dallas Mavericks (1980-86), Orlando Magic (1989-90), SuperSonics (1994-2005) Atlanta Hawks (2012-13) and Charlotte Hornets (2013-17). Prior to coaching, Weiss played 12 seasons in the NBA. The 22nd overall pick in the 1965 NBA Draft, he averaged 7.6 points, 3.7 assists and 1.8 rebounds in 783 career games for the Philadelphia 76ers, Seattle SuperSonics, Milwaukee Bucks, Chicago Bulls, Buffalo Braves and Washington Bullets. Weiss also saw action in 53 playoff games, including winning the 1967 NBA Championship with the 76ers. Weiss earned a bachelor’s degree in physical education from Penn State, where he was named Honorable Mention AP All-America as a senior in 1965. He and his wife, Tracy, have two children, Stuart and Grace. He also has two older daughters, Jessica and Angela. Mark Price enters his first season with the Denver Nuggets after previously being the head coach at the University of North Carolina at Charlotte from 2015 to 2017. Prior to his time with the Charlotte 49ers, Price had been an assistant coach with the Charlotte Hornets for two years under head coach Steve Clifford. Price has over seven years of coaching experience in the NBA, including being the shooting consultant for the Memphis Grizzlies for the 2008-09 season and was named the shooting coach for the Atlanta Hawks from 2008 to 2010. He was also the inaugural head coach of the Australian NBL’s South Dragons, a new franchise for the 2006-07 season. Prior to coaching, Price enjoyed a stellar 12-year NBA career. He finished his career as one of the greatest shooters in NBA history; he ranks second on the NBA’s all-time career free-throw percentage list (.904). He is also the NBA’s alltime leader in playoff free-throw percentage (.944). Price was the 25th overall pick in the 1986 NBA Draft and played in 772 regular-season games for the Cleveland Cavaliers, Washington Bullets, Golden State Warriors and Orlando Magic. He averaged 15.2 points and 6.7 assists in his career. Price, who played nine seasons for the Cavaliers is second in franchise history for career assists (4,206), was named first-team All-NBA in 1992-93 and third-team AllNBA three times (1988-89, 1991-92 and 1993-94). He played in four NBA All-Star games and captured the 1993 and 1994 NBA three-point shootout titles. Price was also a member of Dream Team II, which won the gold medal at the 1994 FIBA World Championship. The Cleveland Cavaliers have retired his #25 jersey. Price and his wife Laura, have four children: Brittany, Caroline (who is an assistant women’s tennis coach at Charlotte), Hudson and Josh. Price’s brother Brent enjoyed a 10-year NBA career. John Beckett enters his fifth season on the Nuggets coaching staff and third as Director of Player Development. In this role he utilizes his extensive coaching, scouting and player development experience to put together specific strategies for each player on the roster throughout the season. Prior to coming to Denver, Beckett was an assistant coach with the Delaware 87ers of the NBA Development League where he was responsible for conducting individual pre-game and pre-practice workouts for players, developing player strengthand- conditioning programs and preparing advanced scouting reports on upcoming opponents. He also helped prepare practice plans and provided detailed progress and scouting reports on 87ers players throughout the season. 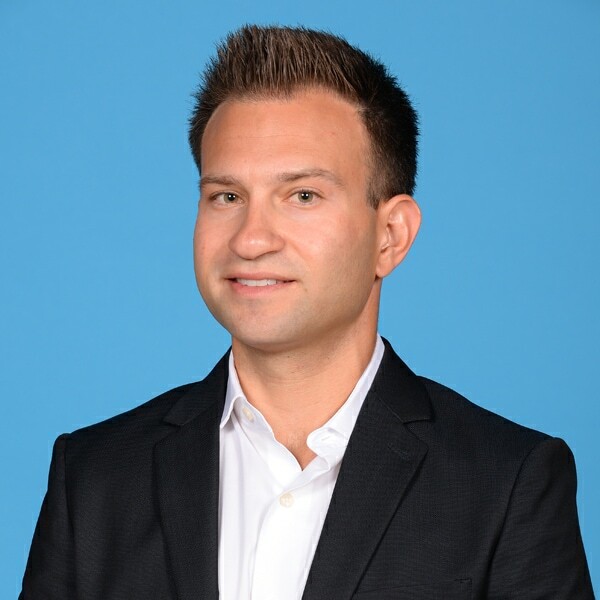 Before joining the 87ers, Beckett spent nine years with the Atlanta Hawks (2004-13), serving as the team’s video coordinator and assisting with player development. In addition to creating video edits as part of the team’s game preparation, Beckett led and assisted in workouts and traveled as a college scout. In addition to his work on the court, Beckett has spent the past 14 years as a freelance production contributor for Turner Sports and NBA TV. He was a member of the Emmy Awardwinning “NBA on TNT” studio show. After being named the 1996-97 Fayette County Player of the Year at Sandy Creek High School, Beckett attended Georgia State University before transferring to Eckerd College in St. Petersburg, Fla., in 1998. Beckett helped the Tritons to the NCAA Division II National Tournament in 2001 and graduated with a degree in Business Management. He later played professionally for the Bergheim Bandits in Germany. 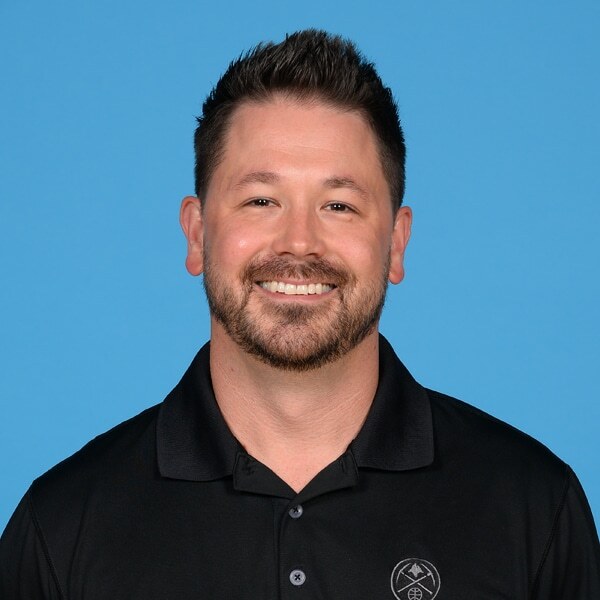 Dan Shimensky enters his 12th season with the Denver Nuggets and his fifth as Head Athletic Trainer. In addition to the various duties Dan has a Head Athletic Trainer he is also responsible for the team’s travel. 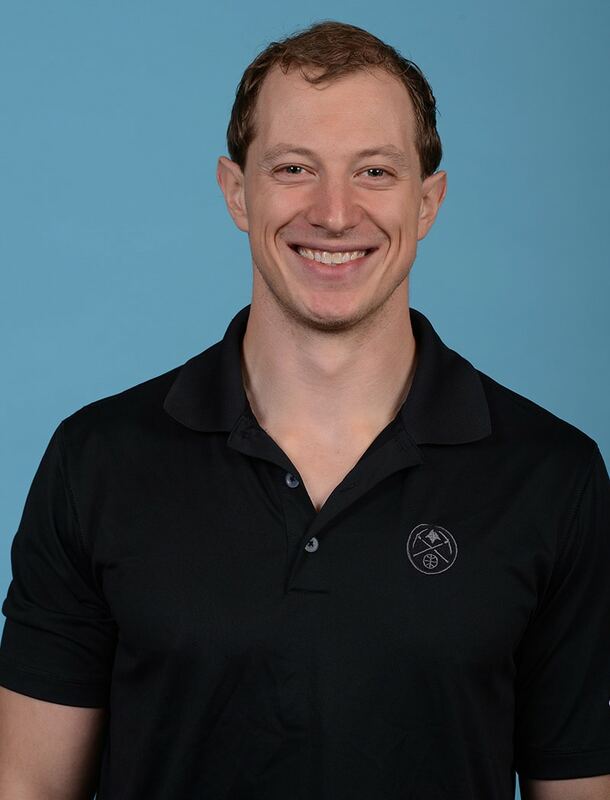 In addition to being a certified and registered (Colorado) Athletic Trainer, Shimensky has obtained his corrective exercise specialization (CES) and performance enhancement specialization (PES) certifications through the National Academy of Sports Medicine (NASM) and his certification in applied functional science (CAFS) from the Gray Institute. Dan is also a Certified Functional Strength Coach (CFSC) through Mike Boyle’s strength and conditioning program. Furthermore, he has obtained his certification in dry needling under the guidelines of Dr. Yun-tao Ma’s Systemic Dry Needling for Sport Performance, and in the use of the Personalized Tourniquet System for Blood Flow Restriction (BFR) rehabilitation under the Owens Recovery Science program. Shimensky served as the Assistant Athletic Trainer/ Assistant Strength and Conditioning Coach for the previous seven seasons (2007-2014) before moving into his current role. During this time he served as an executive committee member representing the Western Conference Assistant Athletic Trainers during the 2013-2014 NBA season. In 2009, Shimensky was honored to be selected as Head Athletic Trainer for the USA men’s U-19 Men’s FIBA World Championships. Held in Auckland, New Zealand, Shimensky helped Team USA capture the gold medal, an accomplishment that had not been achieved since 1991. In 2011, Shimensky was brought back to USA basketball as Head Athletic Trainer for the men’s U-16 national team for the FIBA Americas Championship. Hosted in Cancun, Mexico, Shimensky was able to obtain a second gold medal as team USA finished with a perfect 5-0 record. 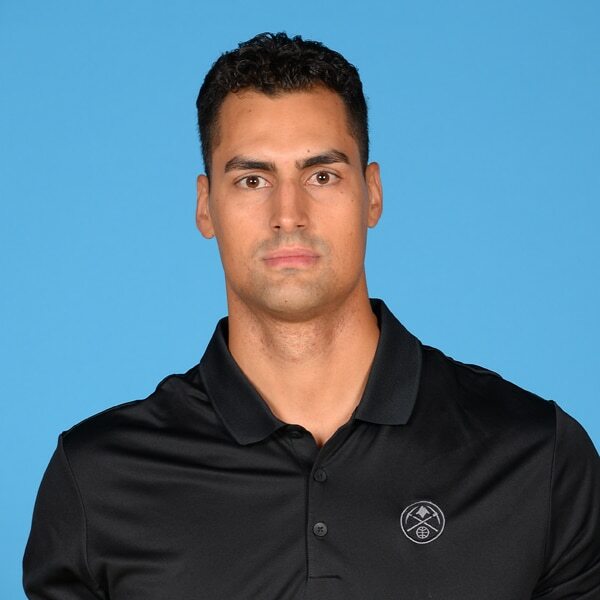 Felipe Eichenberger begins his second season as the Nuggets’ Head Strength and Conditioning Coach. In this role he is responsible for all the team’s weight training, conditioning, daily tracking and load management, and nutritional programs. Eichenberger came to Denver prior to the 2011-12 campaign and served five seasons as the Assistant Strength and Conditioning coach before being named the Associate Head Strength and Conditioning coach for the 2016-17 season. A native of Ribeirão Preto, São Paulo, Brazil, Eichenberger attended Northwestern Oklahoma State University where he was a member of the basketball team all four years and graduated with his degree in health and sports science. Eichenberger interned for a sports development organization in Las Vegas where he trained current and future NBA players after graduating college. He then came to Denver to work as a personal trainer specializing in athletic strength and conditioning before being hired by the Nuggets. He is an NSCA (RSCC) Certified Strength and Conditioning Specialist and owns a master’s degree in Kinesiology. He is also certified as a Corrective Exercise Specialist (CES) through NASM and is finishing his Muscle Activation Technique specialist certification. Dr. Short enters his second season as Director of Sports Medicine and fifth overall with the Nuggets. He joined Denver in the fall of 2014 as the Team Physical Therapist and Assistant Strength and Conditioning Coach. Dr. Short is responsible for the integration of evidence-based musculoskeletal services throughout the organization’s high performance unit. 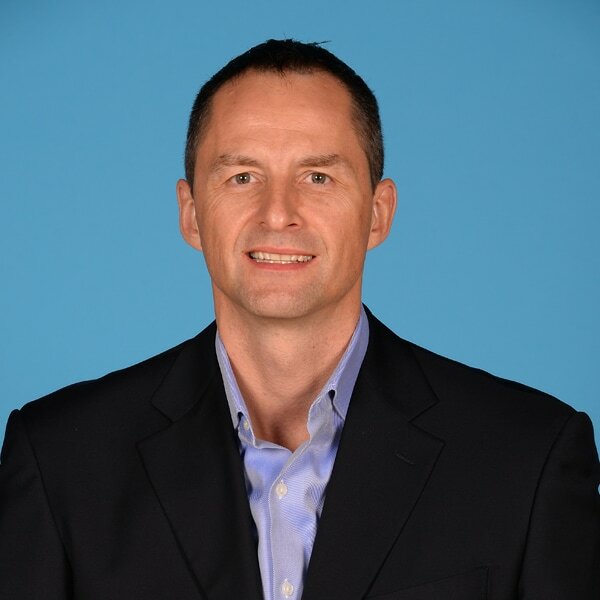 In 2016, Dr. Short served as the lead performance coach for the German National Basketball Team en route to EuroBasket qualification. Prior to joining the Nuggets, he served in private practice at Back in Motion Physical Therapy in Kingsford, MI. Dr. Short graduated with a Doctor of Physical Therapy degree from the University of Dayton after serving with the Oklahoma City Thunder during the 2013-14 season. While at UD, he conducted research for multiple NBA organizations, presented research nationally and was awarded the UD DPT Student Achievement Award. From 2005-2010, he earned a dual undergraduate degree in Biology and Exercise Science from Michigan Tech University while quarterbacking the Huskies football team. Dr. Short also received a Minor in Psychology, a Certificate in Coaching and became a Certified Strength and Conditioning Specialist during his tenure. He was inducted into the Michigan Tech College of Sciences and Arts Academy in 2018. Dr. Short is a board certified in Sports Physical Therapy through the American Board of Physical Therapy Specialties and is a Fellow of the American Academy of Orthopedic Manual Physical Therapists. Dr. Short resides in the foothills of the Rocky Mountains with his wife Gretchen.